Salted Caramel Tart with peanut butter ice cream. Click below for recipe ingredients and make-up instructions. 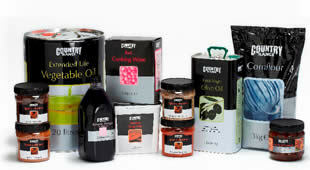 Our range is developed exclusively for professional caterers. "According to a recent survey, 69% of readers' menus are influenced by Stir it up!"